We are reckoned as one of the credible reputed Cassia Essential Oil Suppliers in India in the country. 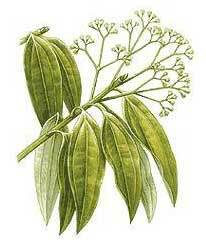 Cinnamomum Cassia Essential Oil is processed from the leaves of plant. Cassia Oil is soluble in alcohols and other essential oils but insoluble in water. It is remarkable for its highly aromatic properties. It is utilized as the raw material in making massage oils, scent, air fresheners, incense, light rings and so on.